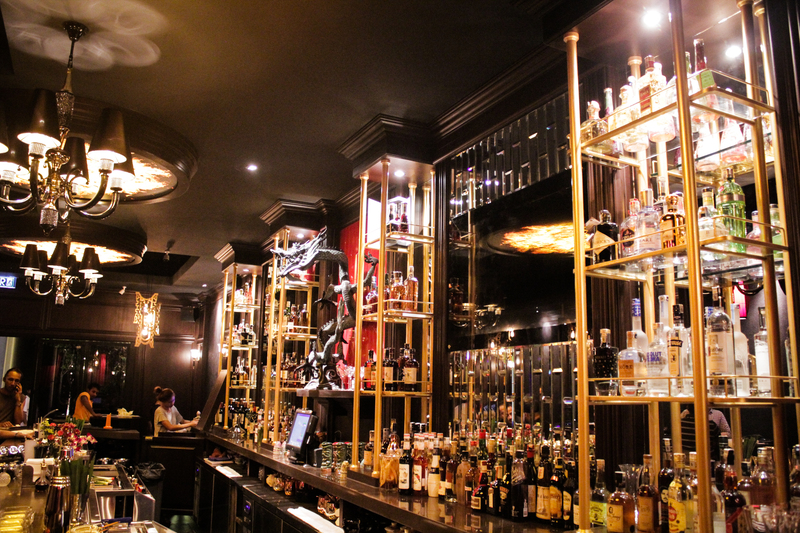 The first thing you notice when you enter The China Bar is the unique ambiance and interior design. The decorations combine fire with shadows, elegant dragon designs on the walls and beautiful dim lights that create a mysterious speak easy classy atmosphere. 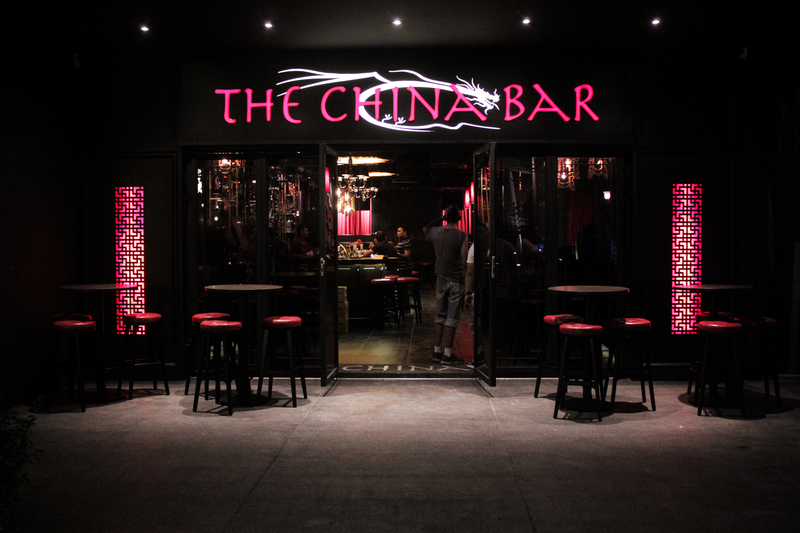 What we discovered is that The China Bar is not just another club in TREC among others, but has some unique concepts behind it. 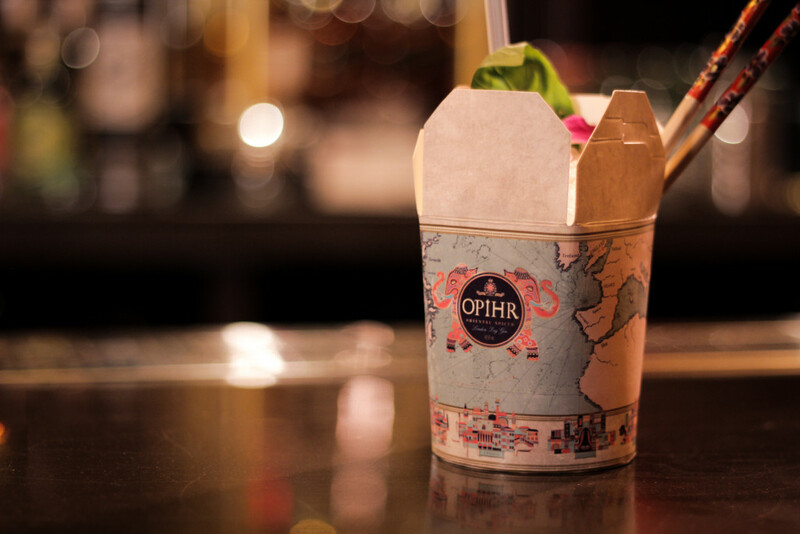 First of all, the cocktails: specially created for the venue, they are a must try for everyone that sets foot inside. 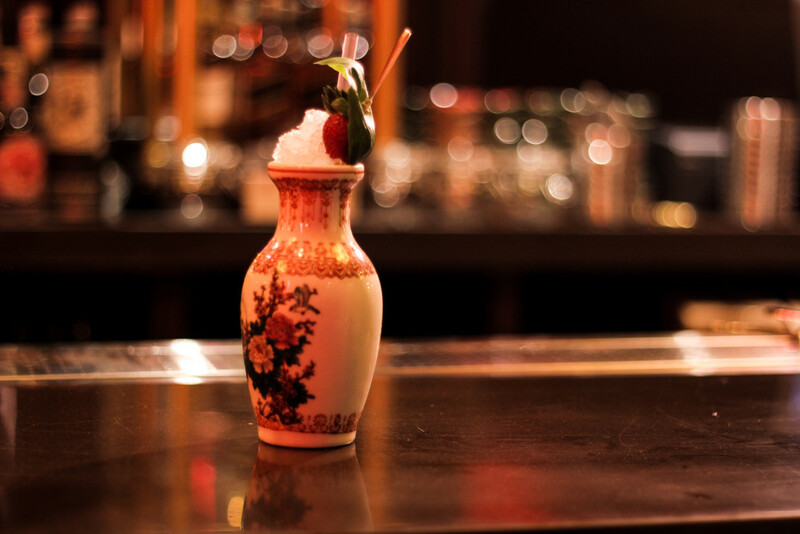 Beautiful presentations and unique flavours that combine the spices of Asia are the main assets of the cocktails list that The China Bar has to offer. Here are a few of the cocktails that we tried. Our first dish was a smoked duck salad with mustard topping, just perfect to get your appetite started with some grapes and classic summer salad. The suitable drink for this would be a fresh cocktail like Erik or one that has a sour and sweet flavour that compliments very well the ginger and mustard flavour of the duck. After that we tried the Teriyaki spring chicken, marinated overnight for 24 hours in a “secret” sauce. After that it is fried and grilled, to keep the juice inside the chicken meat. We paired this with The China Bar cocktail but it also works with Little Creatures beer part of the special craft beer menu. We can say that indeed, the sauce was great and the flavour of the chicken was juicy and strong. One of the main dish selections we tried was the Grill Chicken Chop, with sautéed mashed potatoes on the side, while the chicken is also marinated over night with rosemary and garlic to give it a kick and make the flavours more intense. 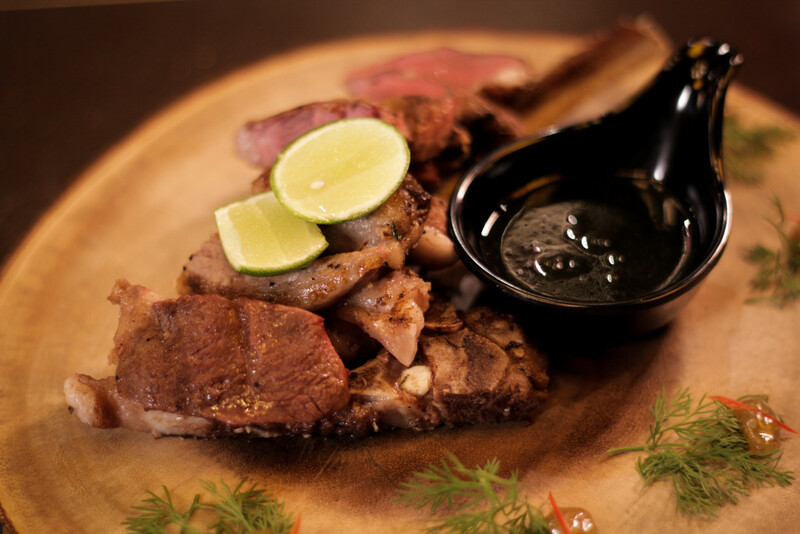 A classic dish but because of the 24 hours marination it has a very strong and distinct savour. 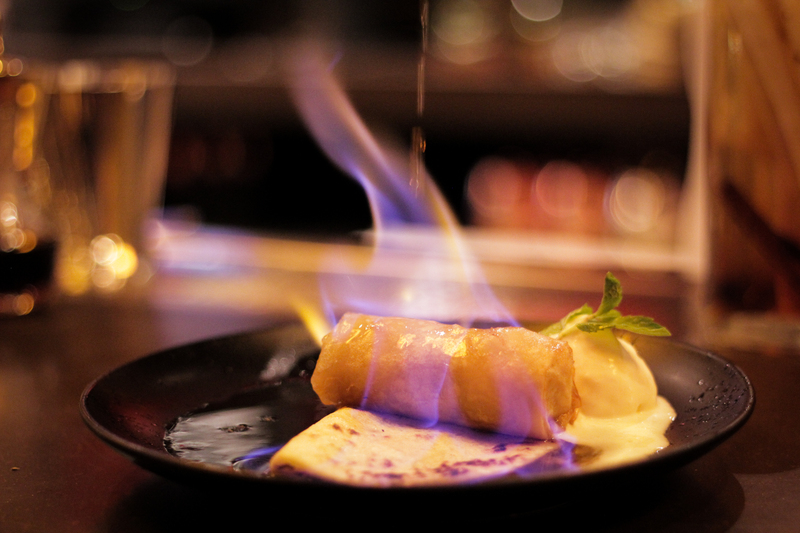 The dessert, pancake flamed with brandy, maple syrup poppy-a skin and vanilla ice-cream on the side, brings you closer to the the night that is about to enfold, with this unique combination of brandy and ice-cream that simulate a super fresh cocktail. 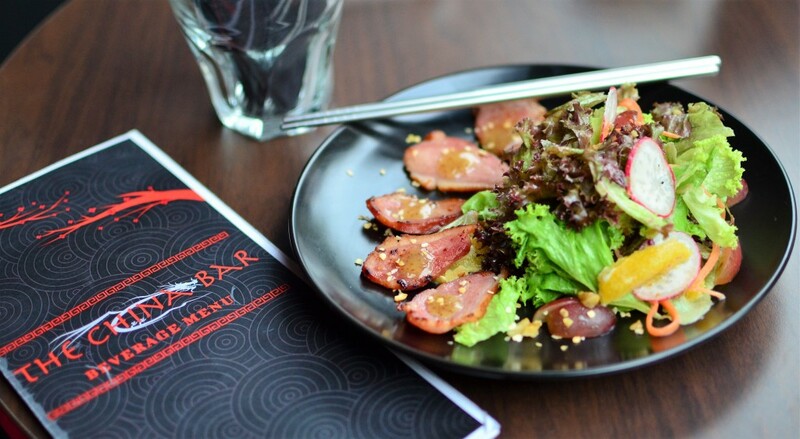 The fusion food concept of The China Bar is pairing the dishes with the drinks. They have some cool special combos 1 dish + 1 cocktail, or you can try their selection of fine wines or even the Japanese and Australian beer or cider. 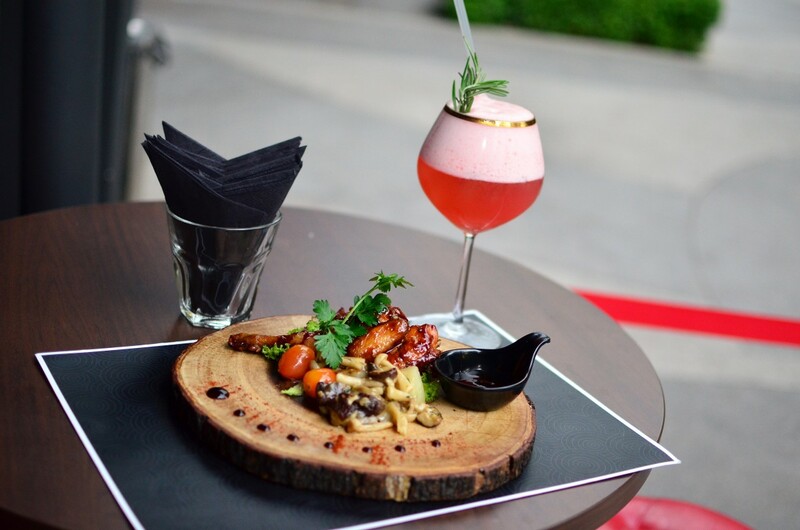 Its not a standard fine dining place, but a casual diner that can make you enjoy not just the food experience but also the cocktails, the design and the lounge music on the side that creates a unique and eclectic vibe. 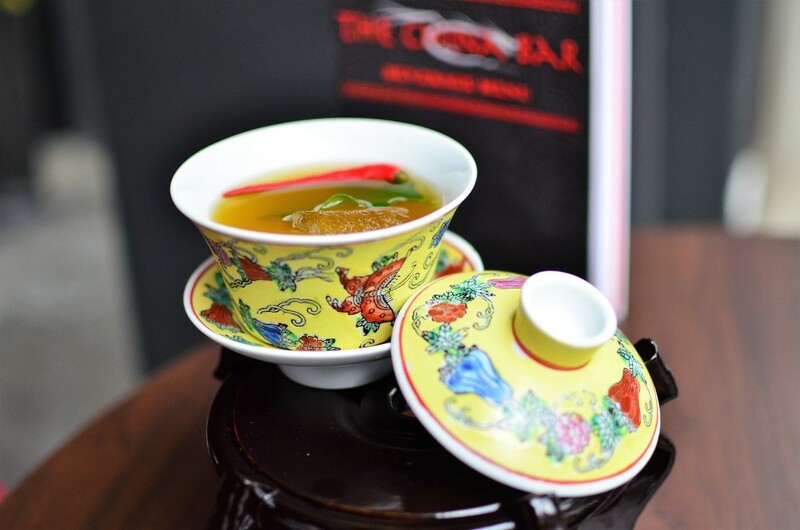 The design of The China Bar is a mix of old and new, ancient and modern, traditional and eclectic. The dragon, which in Chinese culture traditionally symbolises potent and auspicious powers, particularly control over water, rainfall, typhoons, and floods, is one of the main symbols of the venue as a basic pillar in defining its concept. 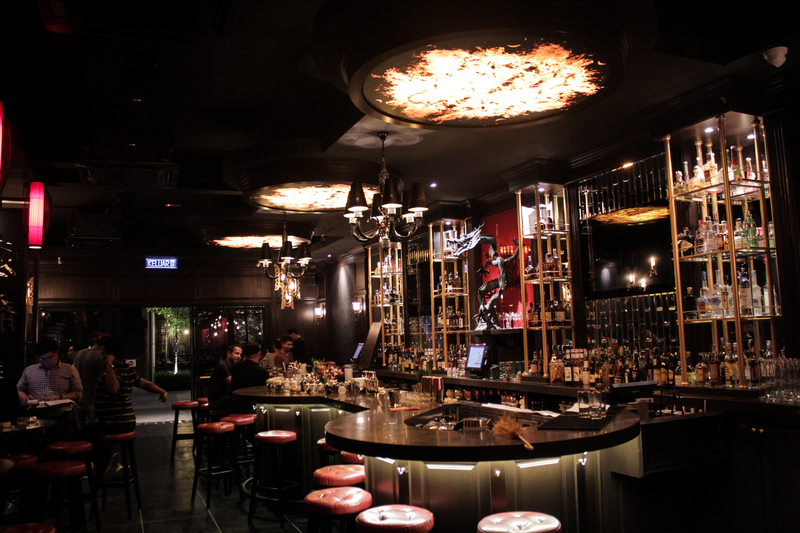 The ambience is yet to be fully established as The China Bar is a very new venue and people start to discover it slowly, but the speak easy, lounge concept combined with late night club is a great addition to the TREC dine and nightlife. As I said in the beginning the design is impressive, you will see for yourself. The service has improved greatly since the last time we were present at the opening night, the staff are very attentive, knowledgeable and welcoming. Food pairing is also one of the best things about the cuisine, it can be mixed with our original craft beers, or maybe complemented by the wine selection from Chile, Argentina, Spain, France and Austria or even enjoy the small bites whilst trying one of house cocktails. If its dinner or just a bite before some drinks, you’re covered with a good combination of food and refreshments. It won’t be anything spectacular in the menu, as they specialises in grill and Nepali momos, but it’s a great place to have a light dinner before going out. And the momos are a must try, original recipe from Nepal! 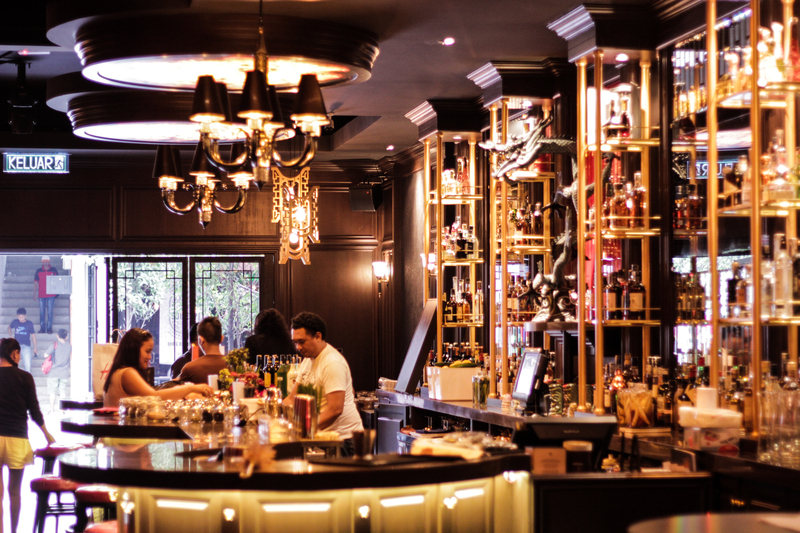 The cocktails are state of the art but they have a very good price range, the craft beers have one of the best promos in town, price wise the venue has a very good position.